I'm a real girly-girl: I like the Sound of Music, Sense and Sensibility, clothing with a tiny floral pattern, perfume and polished nails. So playing "autos" with our son is a MAJOR challenge. I don't know what to do with them! You can't change their clothes or brush their hair and pretend they're getting married. You just basically line them up in rows or in snazzy patterns on the floor (I sometimes line them up in a log-cabin quilt pattern to amuse myself...Oliver is exasperated at this nonsense). 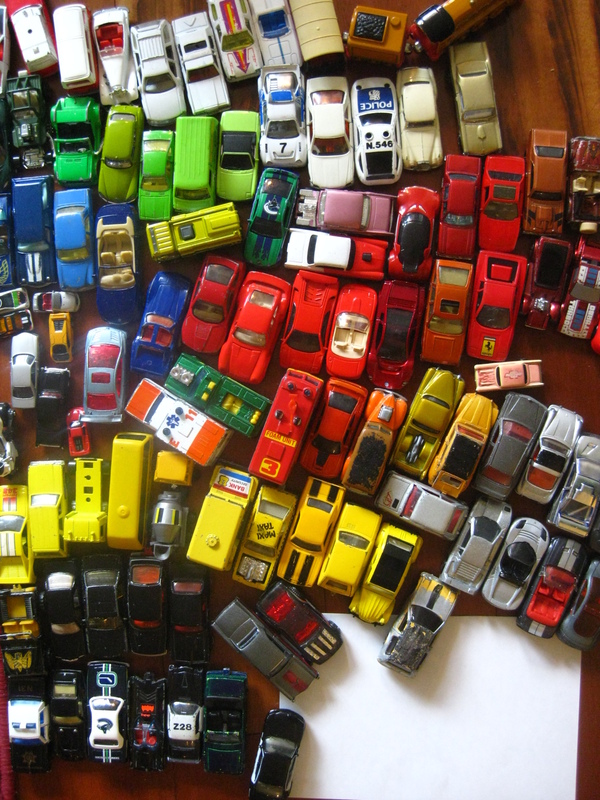 A friend of mine has her son play "BC Ferries" with the tiny cars...basically a creative name for yet another lineup of cars. This morning an idea came to me for a two-in-one: engage in O's favorite playthings with him AND make a boys birthday card for future use! 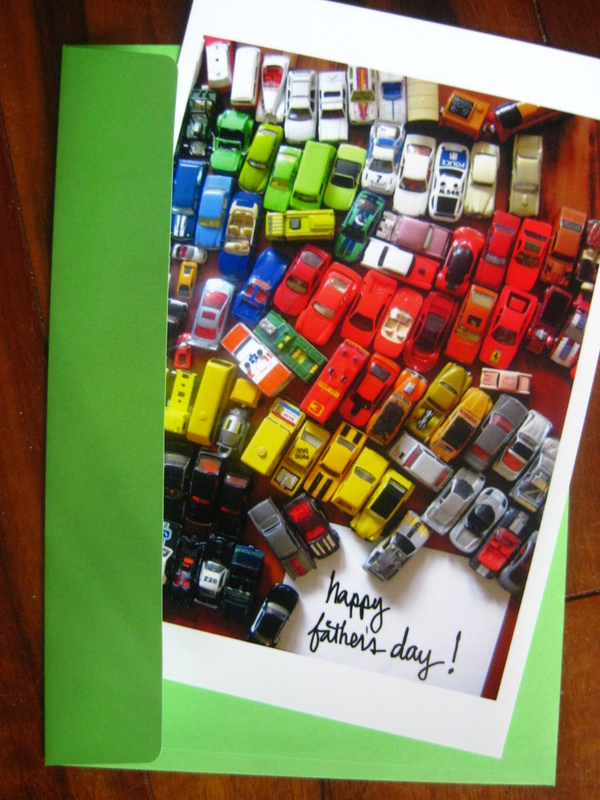 This is the arranged-by-colour configuration (my idea) O and I worked on with a white piece of cardstock tucked in the bottom corner of the shot to write a little message on when the photo is printed and taped to a card. 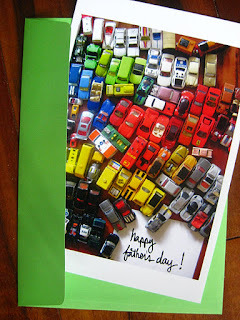 I use this photo as a birthday card, Father's Day (just around the corner! ), a thank you note...I write whatever message is appropriate on the printed photo with my favorite .3 Japanese black roller pen! I like that Oliver was involved in the making of this card. That's the part I like best. I wish I could have bottled the laugh of delight that came from him when I showed him this photo of his little cars on the camera. Awesome.